Jumpy Jack is another game in pixel art for our best players! Jack, our protagonist, rides his skateboard and jumps through narrow spaces of red brick walls, in an endless assault caused by his skateboard’s speed. 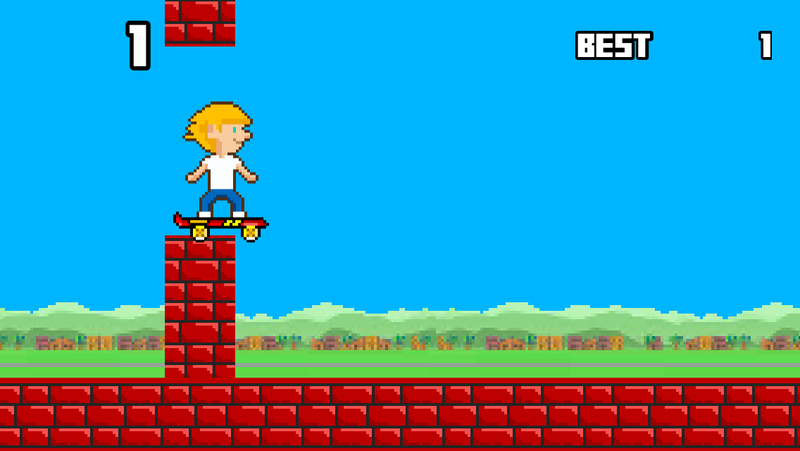 Tap your screen to make Jack jump with his skateboard, and avoid all obstacles. As a bonus, Jack is rewarded with upgrades to his wardrobe for every five walls successfully passed.